The Yurugu blog series attempts to uncover some of the myths the dominant culture is based upon. As we have a hard time seeing the things we take for granted the view from outside, through the eyes of a different culture, may help with discovering our biases and enable us to act more consciously. 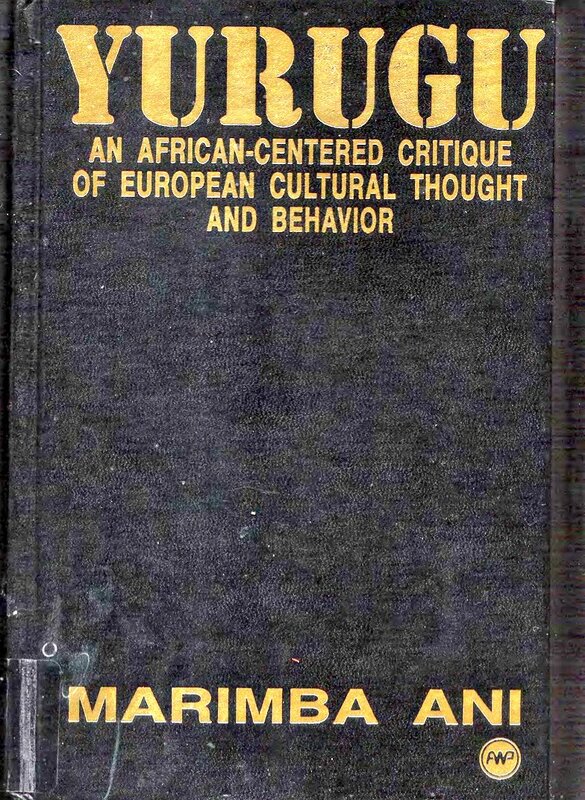 Marimba Ani, the author of the book "Yurugu: An African-centered critique of European cultural thought and behavior", is not involved in putting up the series and does not necessarily agree to its contents. The series is also not meant to present the book's central thesis, or to agree one-hundred percent with it; rather the blogs are inspired by the deep thoughts Marimba Ani has put forward, and offer some of them for consideration. In view of the many difficulties the human species faces these days, and looking back at ten thousand years of oppression, social disparity, suffering, warfare, and environmental destruction that fill our history books and news media, what sticks out is the utter inability to tackle any single one of those issues. One should think that, with all that ingenuity we ascribe to the human mind, we'd be able to make things better, overall, and that we would never allow ourselves to step to the very precipice, have a discussion about whether it's there or not, and politely urge each other to go ahead. Yet that is exactly what is going on; and what's more, it happens despite loud warnings. Season's greetings from Katowice. Another thing that sticks out is that non-European cultures do not join in the activities of Western oppositional movements. There was no Summer of Love in Beijing, no nuclear-disarmament protests in Tunis, no Occupy campaign in Lagos, and, as far as I can see, no Yellow Vests in Rio. Uprisings concerned with environmental issues or social inequality seem to revolve around completely different faces, problems, and ideas. When it comes to “global” and “universal” in terms of humanness, values, needs, or rules, so-called developing countries seem to belong to another universe altogether. That critical voices from Caucasian-dominated regions of the world, such as Europe, North America, Latin America, or Australia seem to effect change neither in any of their home countries nor in “underdeveloped” nations, is a systemic failure that is rarely noticed, and if so, it is rationalized by tactical or strategic mistakes its proponents had made. What goes wrong here, though, may be explained in relatively simple terms: the protesters themselves nurse a bias in their mind; they act from assumptions, and they promote notions that are deeply rooted in the very culture they profess to criticize. In the case of European civilization, which is a tremendously aggressive culture with a long history of imperialism towards and colonization of other peoples, we need to literally decolonize our minds before we can hope to make any progress with changing our societies. 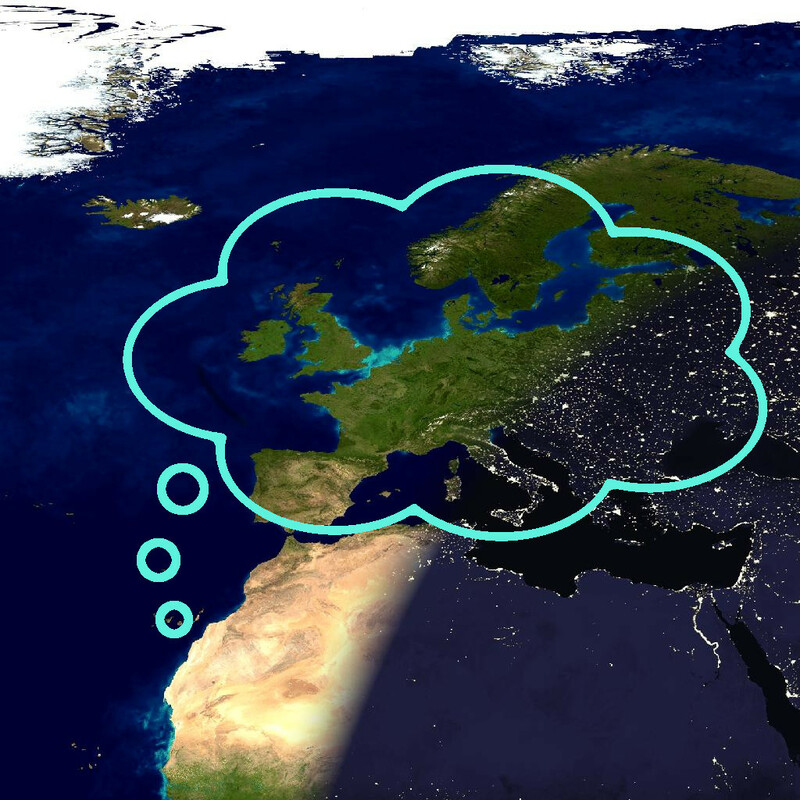 That, at least, is the motif underlying the following number of blogs which explore European thought and behaviour (whereas by Europe we mean all cultures based on the Babylonian-Greek-Roman-Frankonian-Anglo-American-Globalized industrial civilization, including big towns and cities in all countries the world over). In the intentional commune where I live, an international township in India founded on principles of a (Westernized) Indian philosopher, the surrounding local population complains about endemic racism, neo-colonialism, and a general untrustworthiness of the white residents of the township. They, the natives, say they don't feel taken for serious, talks don't happen at eye level, and that they are being cheated and blackmailed on a regular basis. All this happens against the backdrop of cultural exchange, educational, and empowerment programs emanating from that township. Clearly, the self-image of our township's residents and our neighbours' view on us are differing tremendously. As someone who does his best to translate good intentions into tangible action I feel hurt by the accusation of being a colonizer. In the literal sense – the Latin root means, farmer, settler – indeed, I am a colonist But does that mean I am bringing back imperial rule to India? Originally, I didn't think so. Looking back at how I have run my life, the things I have believed in, the fights I have picked up, and foremost my basic assumptions back then – well, in short – yes, I need mental decolonization. In order to criticize one's own culture one has to be able to see it in its totality, which means, one has to take a step back, outside of it's cage walls, to be able to compare its metaphysical foundation and practical implications with those of other cultures. In the very rare cases where decolonization successfully happened without foreign intervention – think of the Gnostics, or Meister Eckhart – it came about by means of mysticism; knowledge emerged from the doorway of not-knowing. As clarity of mind is so completely impaired by our culture's scientific materialism, technological utilitarianism, and unbridled egoism, I don't see this path being pursuable by any number of truth-seekers right now. What I'd rather try here, through a series of articles, is to have sources speak whose view is less biased by European thought than, say, Kant, Skinner, Fresco, or even Mumford. As much as the latter – and others like them – may have contributed to breaking the juggernaut's shell, by fueling the rebelliousness of younger generations, as much did they contribute to the proliferation of certain values which had, and still have, devastating effects both on other cultures and people's world view within our own culture. Information does not suffice to activate the energies needed for change, but it is a useful if not necessary part of change nontheless; useful maybe for some of us willing to having a look inside, to see the concepts impairing our vision and the emotions suppressed by the mental structure Freud “discovered” (invented). As we begin to see that decolonization is necessary for our developing a truly life-endorsing culture, the question arises in which ways European civilization does actually shape our reality, and then, using that insight, how to end its spell on our lives. In the coming weeks, we'll explore specific aspects of all that – science, technology, love, art, morals, freedom, and change, among others – and we'll have a look at our culture's innate weaknesses. While for non-European cultures it will be hard to regain their cultural sovereignty, the self-decolonization of their European counterparts – us – will be immensely more demanding, because we have no tradition to support our effort and to fall back into. 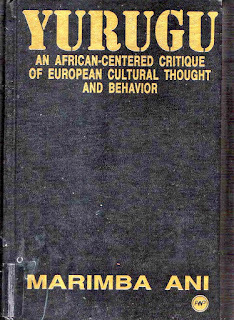 Through the study of the asili, the utamawazo and the utamaroho of our culture – concepts Marimba Ani has introduced into modern African cultural anthropology – we will see that nothing less than total dissolution, transformation, or metamorphosis of Western civilization can result from a successful decolonization of the minds of its citizens. Yet it is not our goal to glamorize or even appropriate African traditions, but to learn from their views, and to find related concepts that make sense in the context of our new communities. The blogs of this series can also not replace the study of the book it is based upon. While reading, keep in mind that this is neither a retelling nor a critique of Yurugu but a search for who we, members of the globalized industrial civilization of the early 21st century, are. Perhaps that can help with actualizing our deeper humanity – the being beneath the cultural mask.